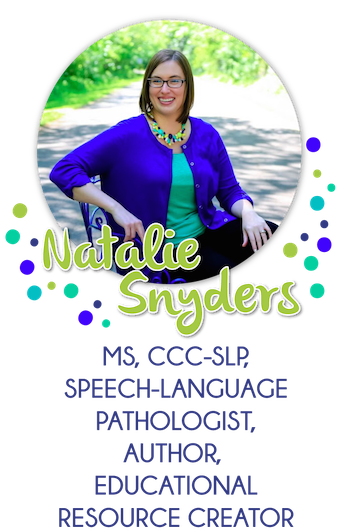 Making the life of a busy school SLP easier and a bit more beautiful everyday! I don’t know about you, but I have a lot of students taking standardized tests this year. 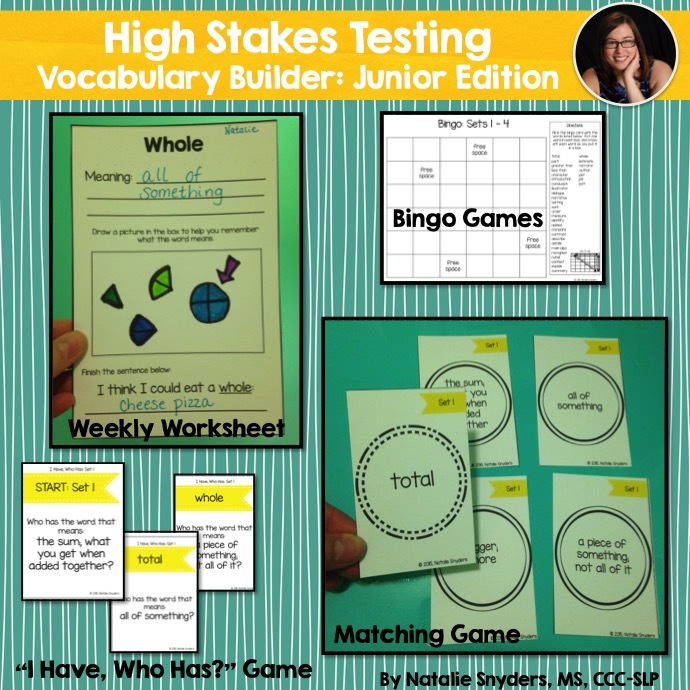 I knew from previous experience that my older students had a lot of difficulty simply understanding the vocabulary used in the questions of standardized tests, so I created my High Stakes Testing: Vocabulary Builder for fourth/fifth grade and older students. 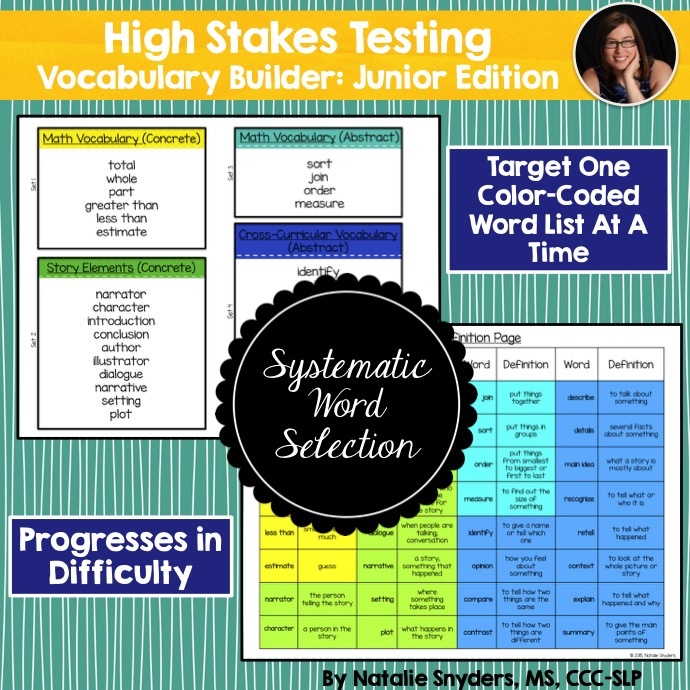 I’ve had a great deal of success with this (particularly with my junior high students) when we focus on one vocabulary word per week for the whole school year. However, this year, our school started using the PARCC with third grade students on up. Since many of my students receive accommodations during testing, and have to be tested individually or in a small group, I volunteered to help out our special education teachers by completing a few testing sessions when I had space in my schedule. I ended up administering both math and language arts tests to one of my third grade students, and I witnessed first-hand how difficult the tests were for her. I quickly realized that while I was doing a good job preparing my older students to comprehend what the questions were asking, I needed to come up with something for my younger students, as well. 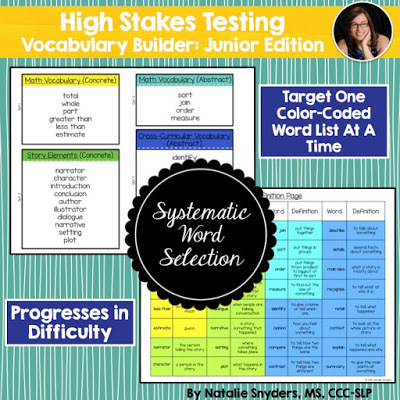 I knew that my original HST: VB had definitions and terminology that were too complex for my younger students, who would benefit from simpler language and picture supports where possible. After much thought, I came up with 32 words that I thought would be the most beneficial for my first through fourth graders to know. I came up with concise, to the point definitions, and found pictures for the majority of the terms. I decided to divide the words into four color-coded sections, starting with the easiest, and moving to the most complex. The first (yellow) section is concrete math terms (such as total, whole, and greater than). The second (green) section focused on concrete story elements (such as narrator, setting, and dialogue). The third (aqua) section is more abstract math vocabulary (such as sort, join, and order). The fourth (dark blue) section is the most difficult, and consists of abstract, cross-curricular terms (such as context, summary, and identify). 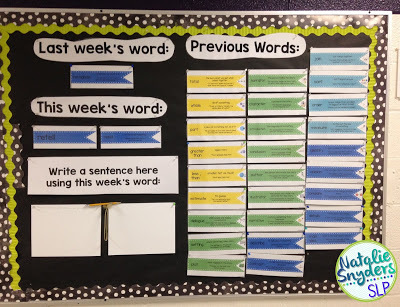 My intention was to focus on one word per week with my students, by introducing the term, going over the definition, and filling out brief worksheets with my students, where they can draw a picture to help them remember the term, as well as fill in an open-ended sentence. This should take about 5 minutes per week in small group sessions. After each section is completed, there are additional activities (a Bingo game and card matching game) that can be used as review of previous terms. In my therapy room, my dry erase board is on the small side, and tends to be full with other projects. I decided to make room on the bulletin board next to my therapy table. I used the 2 per page size and hole punched all of the cards. 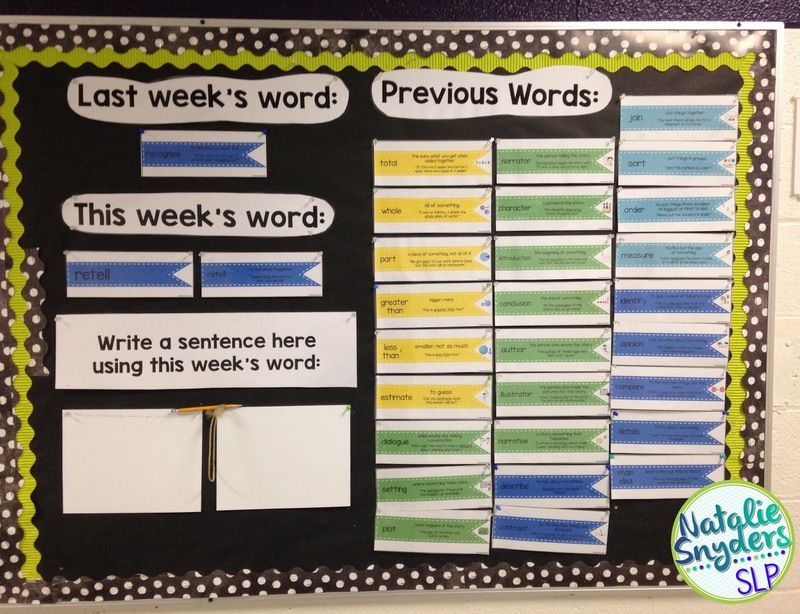 I used 1” binder rings, sticky clips, and push pins to create a display for the term of the week. I am keeping each of the four sets separately, and am storing them on the binder rings, so they are easier to keep track of. When I finish the first set, I’ll take them down and put up the next set. 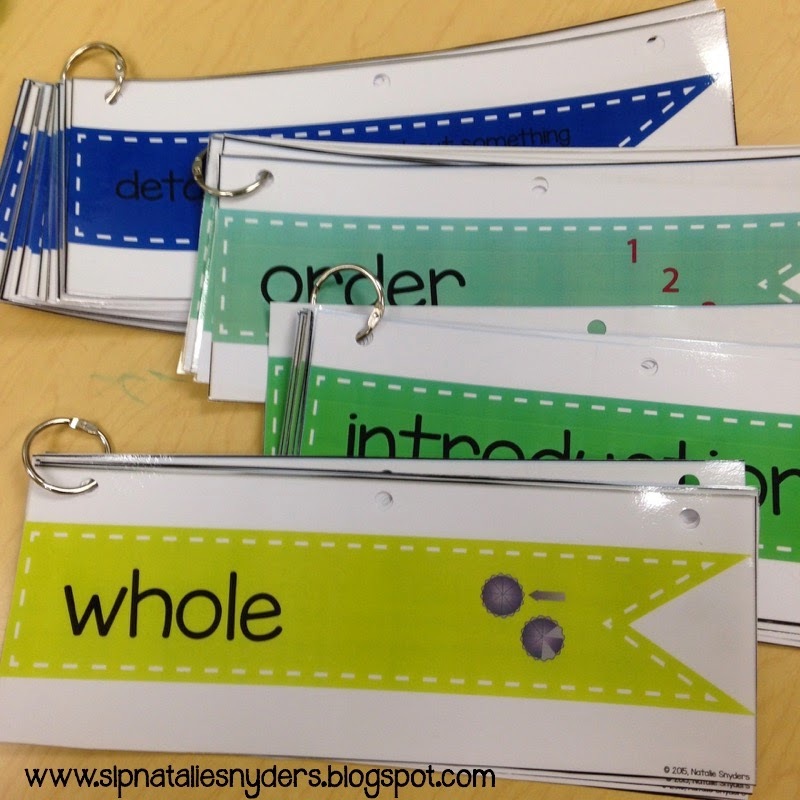 I have some room on one of my file cabinets, so I think I will display previous words on the side of the cabinet, either using magnets, ribbon and clothespins, or tape. You can find my new High Stakes Vocabulary Builder: Junior Edition in my Teachers Pay Teachers store here. Tell me, what do you think? 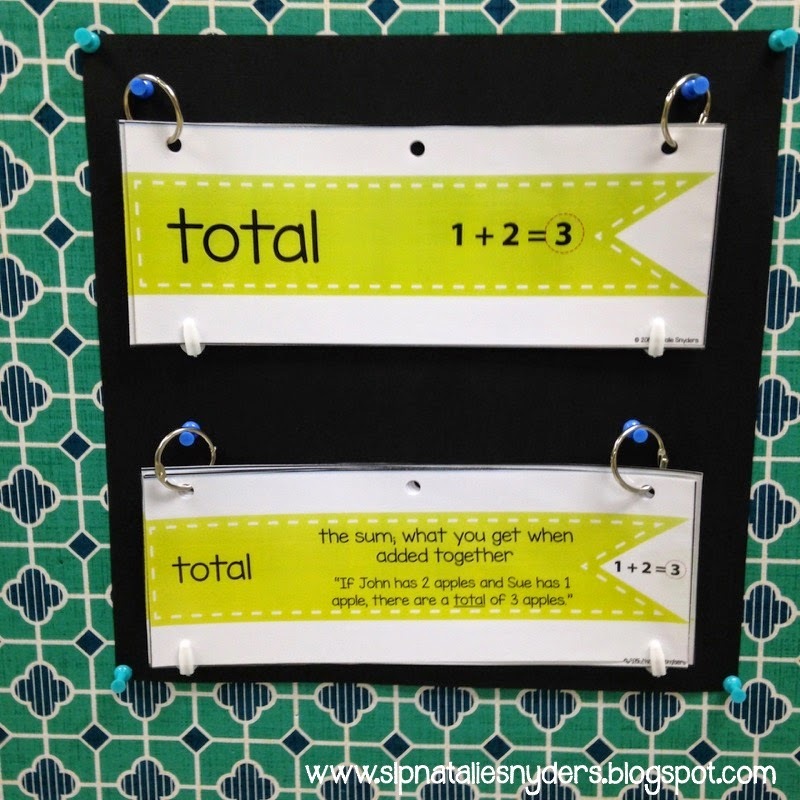 Is this something that would be useful for your students? 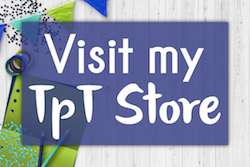 « Getting to Know Your Favorite Online SLPs! I have your upper extension and love it! This is on my wish list! 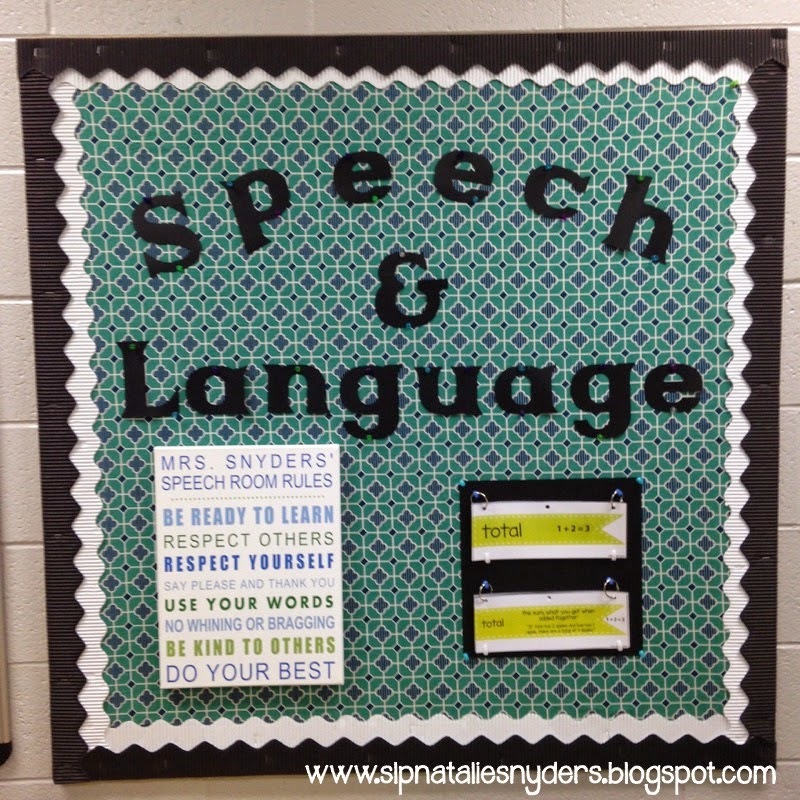 Hi Natalie, I purchased this product and am hoping to use it as a hallway bulletin board this year in my school. Somewhere, I saw a picture of this used on a bulletin board with headings like "this week's word" and "previous words", etc. But, I can't find the picture now. Do you know where this picture is? Or any pictures like that? Thanks! I had posted it on my Instagram and Facebook pages, but forgot to update this post with it, so thanks for reminding me! 🙂 I just added the picture to the post above. Hi Natalie! 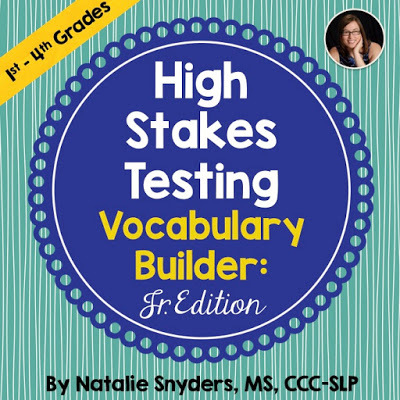 I think this product will be very helpful for a starting point for some of my students who need vocabulary work. I have been reading the book called Bringing Words to Life by Beck, McKeown and Kucan. 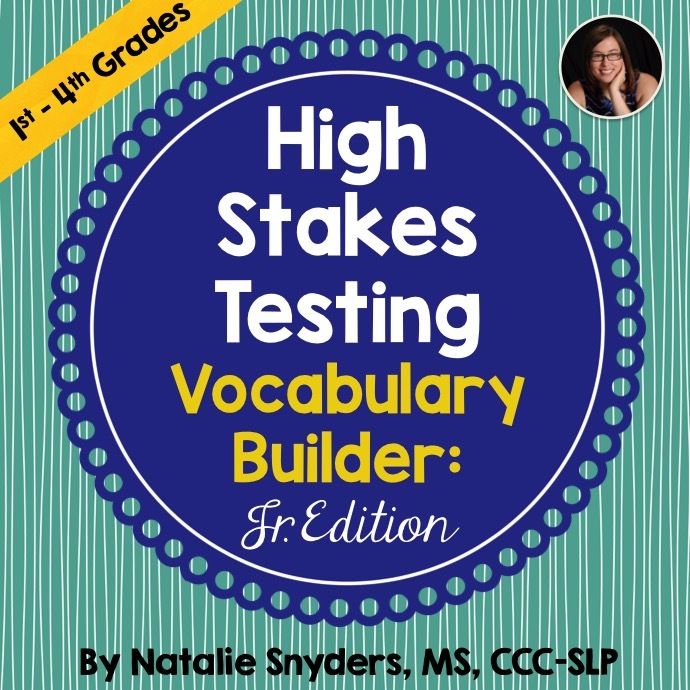 This book has helped me shift from teaching content words to the Tier II words related to words mainly used within written text and less in oral language. I was wondering how you selected your words to use? Did you use any specific research base or just pulled from academic vocabulary? Katie, I studied as many examples of practice tests and test questions that I could, and based my words for this product from there. Bringing Words to Life is a great book! 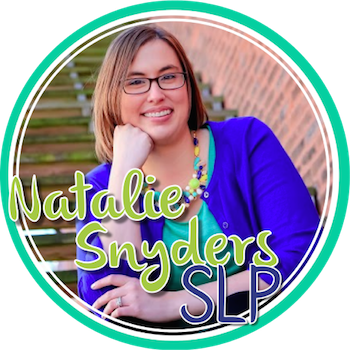 Copyright © 2019 — Natalie Snyders SLP • All rights reserved.